What can I do to minimise my radiation exposure? The further your body is away from the phone radiation, the less concentrated the radiation is. Even a centimetre of distance between you and the phone can makes a big difference. Don’t hold your phone directly against your head. Use text, speakerphone or an approved accessory such as an airtube headset, plug in handset or radiation deflecting phone case. Even when not on a call your phone is radiating. Don’t keep your phone in your pocket or anywhere else up against your body unless you are using a radiation shielded pouch. Radiation levels increase as reception decreases because your phone works harder to maintain connection. Use your phone only in a good reception area and don’t block signal with the back of your hand. See also “Top ways to reduce your radiation exposure” for more details. Please take care. 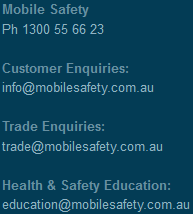 The World Health Organisation recommends using text and safe hands free devices. Refer our range of radiation safety products.